Establishing construction sites along the major roads and highways can be a safety hazard for the community and our employees. Safety is of utmost concern for the Company and it is NO ACCIDENT! 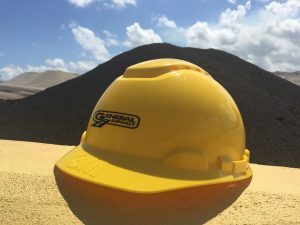 General Asphalt believes the most significant contributor to its excellent safety record is the experience of its employees. The average tenure of our field employees is more than 10 years of service. During our employee’s tenure, they are trained to fully understand the major causes of accidents, and deploy preventative programs to avoid them. Additionally, our employees are encouraged to advise the management team when any safety standard is not being followed or a safety concern arises. Our programs include but are not limited to; daily inspections of certain equipment, internal safety audits conducted by the safety team at the job sites, utilization of protective gear, safety seminars, and a drug free work place program. Safety is not subject to LUCK. Safety is subject to STRATEGY and EXECUTION. General Asphalt is an active member of The Associated General Contractors of America.